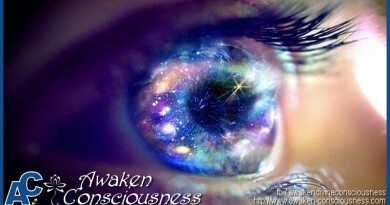 As I progress in my research on consciousness and in my own awakening, I can’t explain how much I feel that the universal consciousness is real and is all around us. I have had a profound experience when we were doing CE-5 with our group in Belgium on the 1st of February 2014, and it has changed my life ever since. I am sharing this event with all of you because I feel compelled to do so and I would also like to know if anyone can relate to what I am about to share. So please feel free to share your thoughts and experiences in the comments. If you don’t know what CE5 meditation is, go HERE to find out. Global CE-5 on 1 February 2014. It was a cold and clear night on the first of February, and me and my friends had been working toward a joint event to get the Holland and Belgian CE-5 team together to take part in the Global CE-5 event. We got together with about 20 people from The Netherlands and Belgium and after some really joyful meet and greets we all warmed up in the studio where the Belgian CE-5 team got together on a weekly basis. With us was Els from The Netherlands who had a week’s training with Steven Greer in 2013 and so we commenced with our first meditation using the meditation from Steven Greer in which he uses his CE-5 protocols. 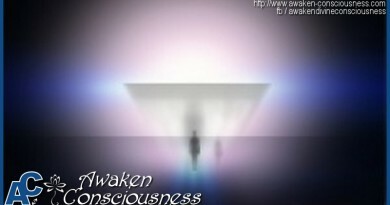 This amazing meditation with adjusted background music can be accessed here. 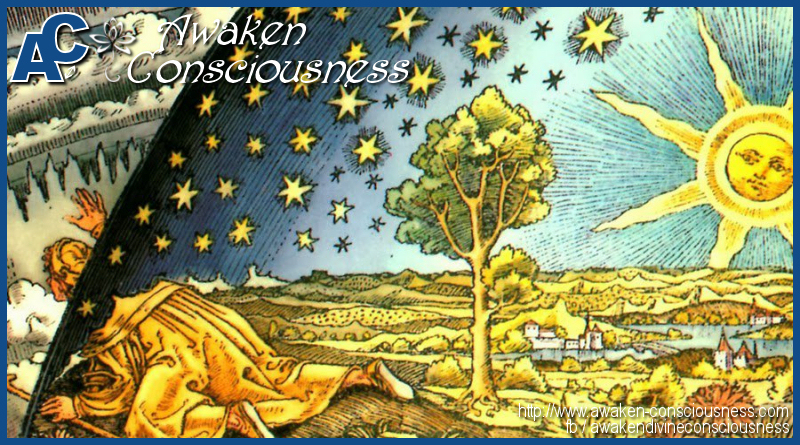 During this first meditation I had an involuntarily Out Of Body Experience (OOBE) and my Awareness was projected into deep space. It was strange to experience how my “etherical” memory was being written to because I was perceiving this OOBE, but also my “physical” memory was being written to because I could perceive everything what was going on with the people around me, and recall both experiences afterwards. 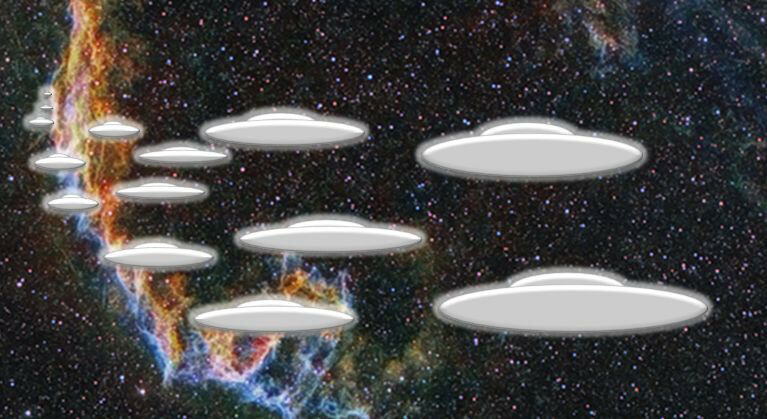 So during this OOBE I suddenly saw this weird cloud… I remember myself thinking.. that is a pretty weird cloud, here in space… and then.. from behind that cloud about 15 spaceships emerge and flew over me at very high speed. A moment later there was a really big space ship which was flanked by 4 smaller ones. 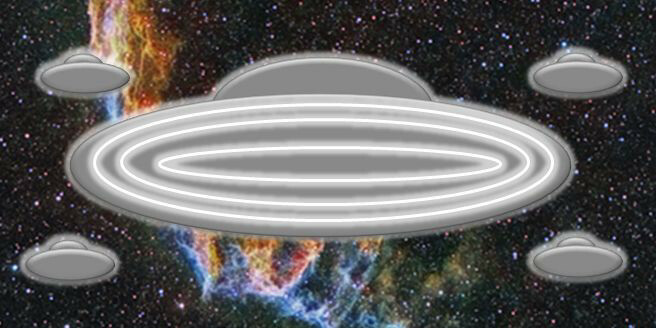 It had 3 rings of light on the bottom of it… It stopped and hovered over me for a moment and then they too flew off…. I sadly lost focus then and the vision was gone, but it was all very clear. After our first meditation we went out to do some sky watching and we could already feel that there was some real tension in our surroundings. 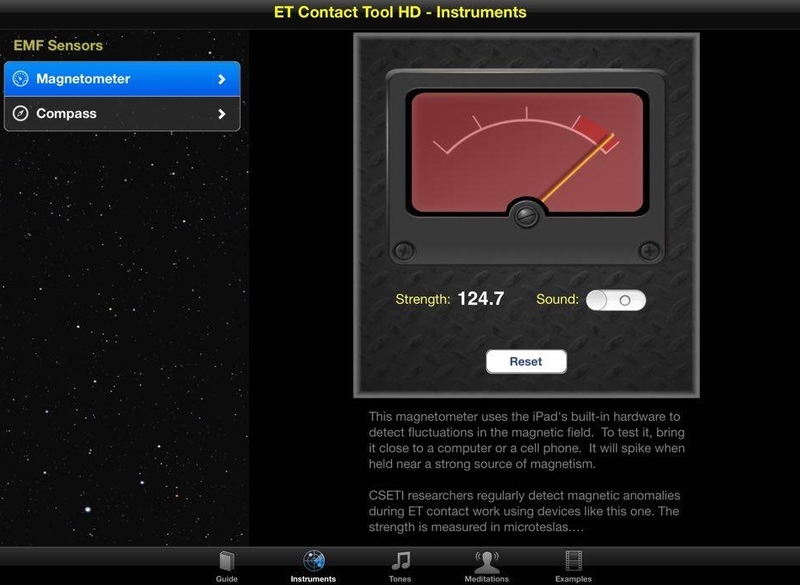 I have an Ipad with the Steven Greer app on it and this app has a tool which can detect changes in the electromagnetic field. When I started the app, nothing happened so I put the Ipad behind me on the floor leaving the app active. It is important to understand that sudden changes in the electromagnetic field often indicate that some kind of an anomaly, mostly of unknown origin, is present. 5 minutes later I heard a strong beeping sound and I wondered what it was. Other people were also looking around them to find what the source was. I looked at my app, and the tools gauge was tilting completely to the red zone and my Ipad was making the beeping sounds… It made this sound for 15 seconds and then it stopped. I scanned everybody in the room for electromagnetic interference again, but nothing. This also happened in our first CE-5 meeting a month earlier, but outside in the open. 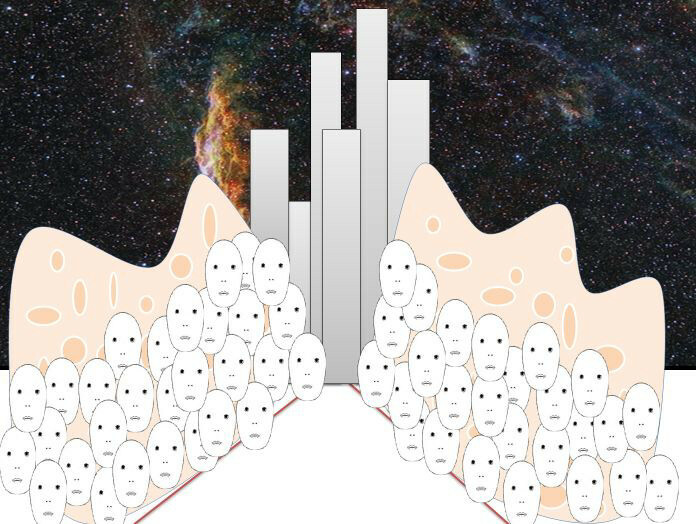 During that second meditation I found myself all of a sudden in an unknown place.. city? planet? I didn’t know where I was… everywhere were weird buildings and structures. 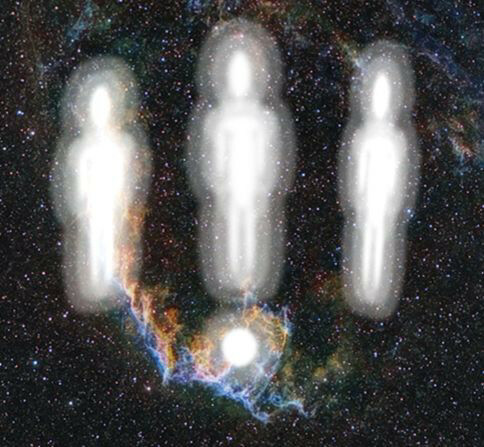 In the next vision I found myself in front of 3 light beings, almost translucent, no distinct details but a human looking outline. They presented me a white ball of light about 15 cm in diameter… This ball of light hovered in between me and those 3 light beings. Still baffled, I really didn’t know what to do, so I asked them, “what is it that you want me to do with this ball of light”. Than suddenly this ball of light went up in the air, over my head… and then descended into my head through my crown chakra. That event really shook me up, I lost focus and came out of meditation. After our meditation, we did a survey to share our experiences and with some hesitation… I shared mine with everyone present. The Veil Nebula is a nebula in the Cygnus constellation. That fact that it is in the Cygnus constellation in itself already says a lot. If you don’t know why this is important, watch this movie. 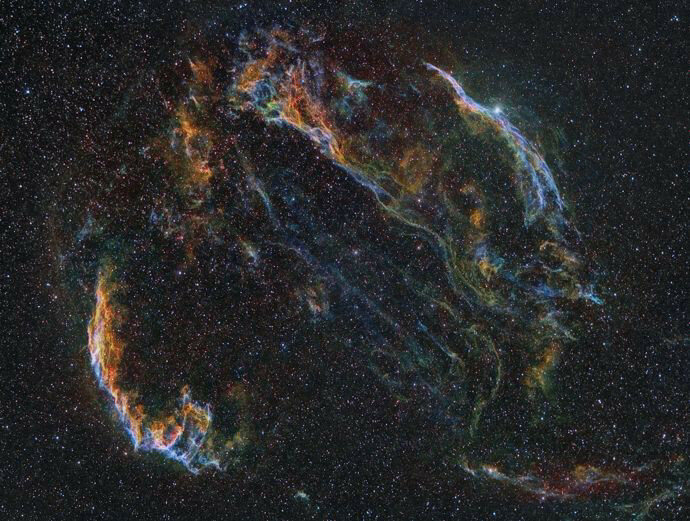 When I looked at the photo of the Veil Nebula, there was a part of it that looked EXACTLY like the cloud that the spaceships came behind from in my first meditation. I was completely stunned. I knew it immediately, I was there during my OOBE. It was just so amazing, and even more because of the confirmation afterwards. 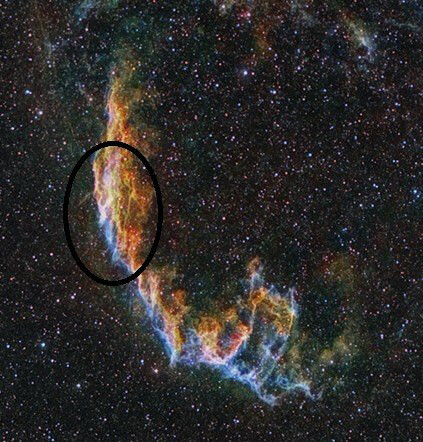 If Linda wouldn’t have said “Veil Nebula”, we still wouldn’t have known it. 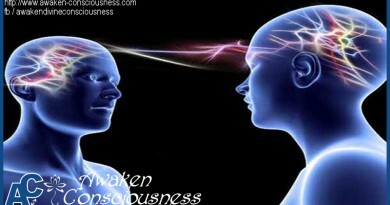 This experience gave me the insight that when having an OOBE, we tap into Universal consciousness and we can really travel anywhere because this Universal consciousness is omnipresent. It has literally changed my life because from that moment on, so many synchronicities have happened and I have met so many amazing people that I do not believe this is coincidence. It is so obvious that the science that we understand now, which so strongly holds on to empirical evidence, really still has so much to learn about the secrets of the universe and consciousness. Since my experience on 01 Feb ’14, I’ve had some strange related experiences. I had some “flashes” in which I saw the image of those 3 beings that appeared in front of me presenting me this ball of light. With “flashes” I mean that a vision of that image flashed before me for a split second. This happened when I had my eyes open! When I closed my eyes and tried to recall that image, I was unable to do so, but I did get this feeling that told me “don’t bother trying, it won’t work now”… When this happened, every hair on my body erected and I shivered. I can only guess why this has happened. We’ll have to wait and see what happens in future events. Without a doubt the experience that I’ve had is one of many experiences that other people also have experienced. If you’ve had some kind of similar (or other) experience, we would love to hear it. Don’t be afraid to share in the comments, we are all in this together!